Civil service reform and anti-corruption: does ethics training reduce corruption in the civil service? Which civil service management practices are effective in reducing bureaucratic corruption? The ‘Civil Service Reform and Anti-Corruption’ Project has shed light on this question through a survey of 23,000 civil servants in ten countries. Its findings show, among others, that one common management practice – ethics training – does not correlate with lower corruption or more ethical behaviour of civil servants. In response, several governments have asked for guidance on how to design effective ethics training, and evidence on its effects. The extension will provide such evidence. 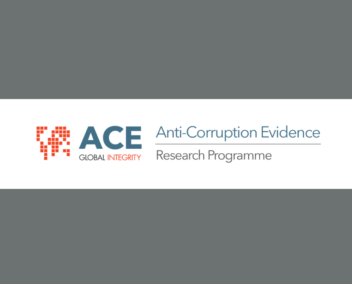 It will survey corruption and (un)ethical behaviour of 1,200 civil servants in Nepal and Bangladesh over time, while providing them with a semester-long state-of-the-art ethics training in a field experiment (RCT). The extension will thus build on the project’s survey findings on ethics training to provide more rigorous and detailed evidence on whether such training works and how to design it. To learn more about this project contact Principal Investigator Jan-Hinrik Meyer-Sahling at University of Nottingham, UK at J.Meyer-Sahling[at]nottingham.ac.uk.